Maude Myers, daughter of George Washington Myers and Sidney Ellen Haigler, was born in 1877 in Washington Co., Iowa and died Nov. 28, 1932 in Des Moines, Polk Co., Iowa. 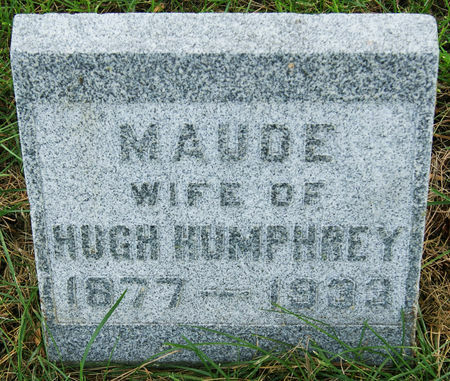 She married Hugh Warren Humphrey Nov. 7, 1900 at Lenox, Taylor Co., Iowa. Searching for MAUDE MYERS HUMPHREY in Taylor County Iowa?